By 1862 most Americans had realised that the Civil War was failing to be brought to a conclusion. However, General George B. McClellan aimed to avoid this by capturing Richmond, the Confederate capital, and end the war in a single campaign. However, despite catching the Confederates off-guard, McClellan threw away his advantage - it took him almost two months to advance towards Richmond. Finally, General Johnston launched a last-ditch attempt to halt their advance. 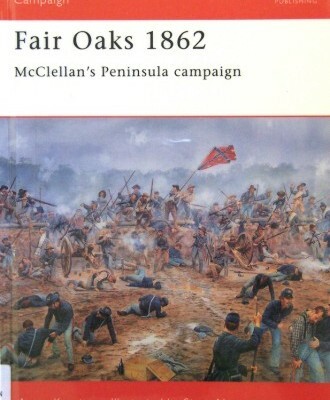 This book details the result, a bloody one-day battle of Fair Oaks (also known as Seven Pines), fought on 31 May 1862. Both sides battled with ferocity, yet failed to take full advantage of the opportunity to change the face of the war.